This entry was posted in Parallel Universes, Politics, Uncategorized and tagged Austrian School, Austrian School Wikipedia Page, economics, libertarians, Libertarians are idiots, News, Paul Krugman, Ron Paul is an idiot. Bookmark the permalink. These libertarians are some of the most brainwashed people out there. They really do believe in an economic religion. I have always considered the study of economics in general to be little more than a religion for capitalism. 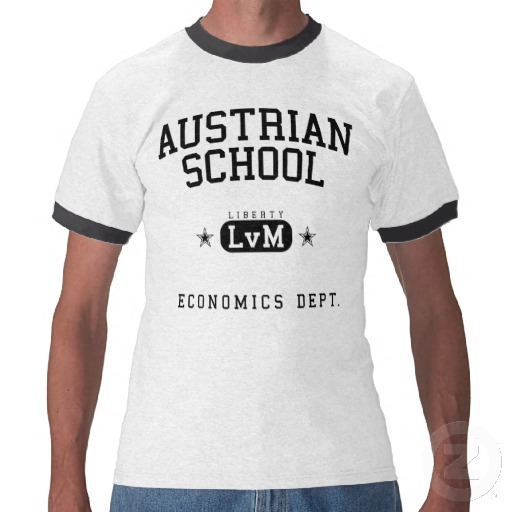 The so-called “Austrian School” is just its most fundamentalist form. Max Weber explained this all a long time ago. Libertarianism is like the Protestant Ethic, only stupider.